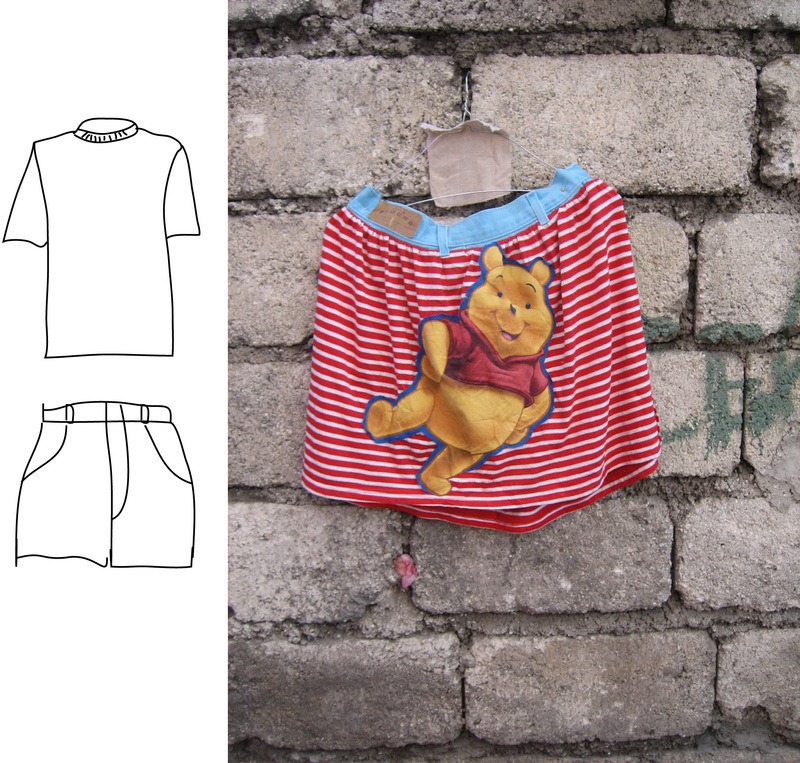 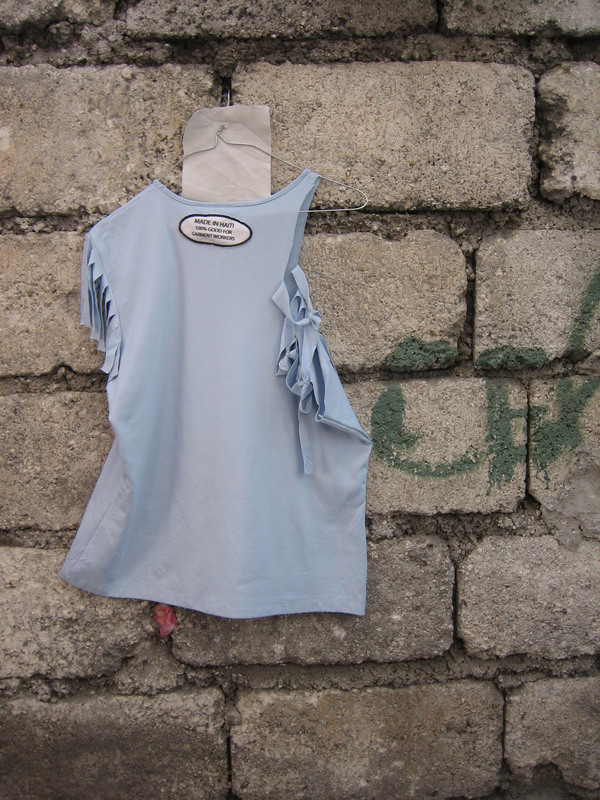 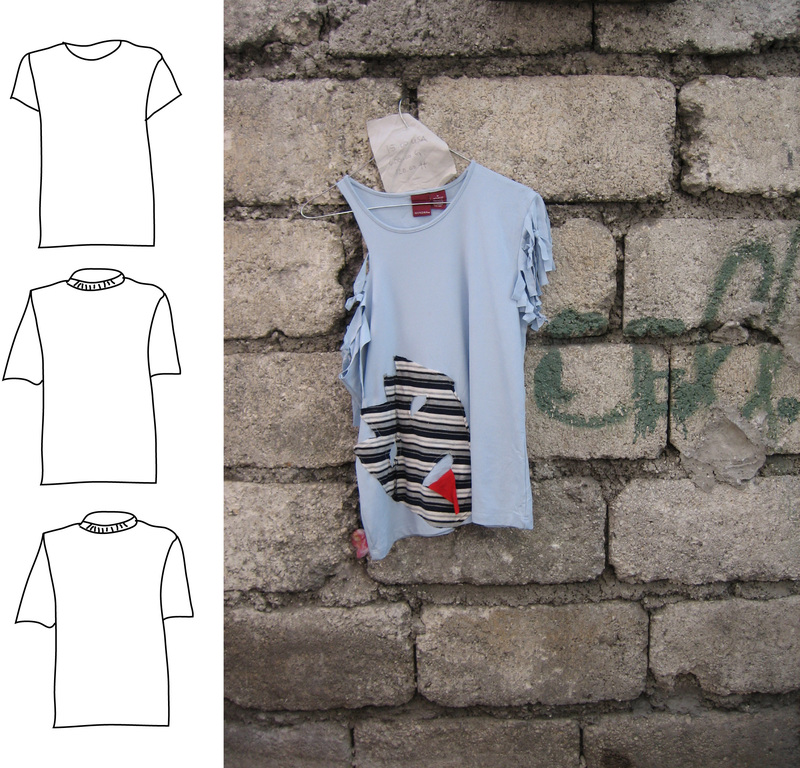 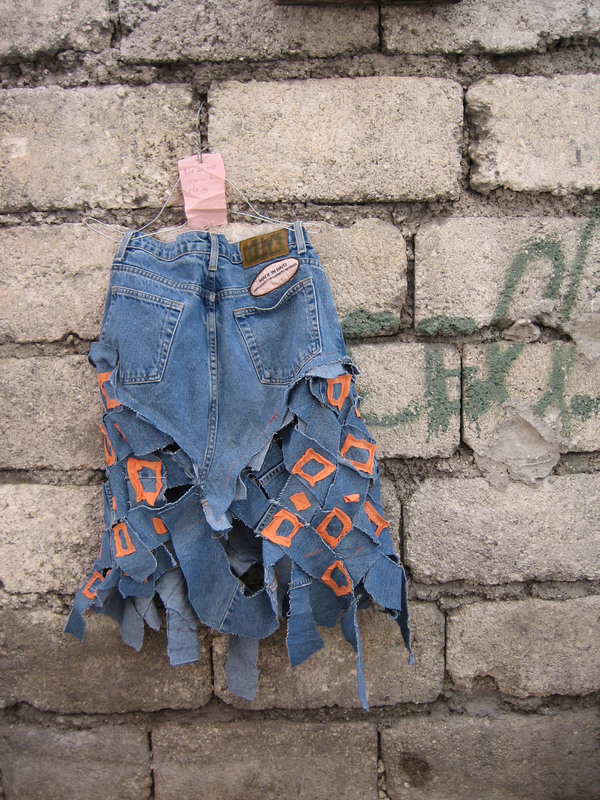 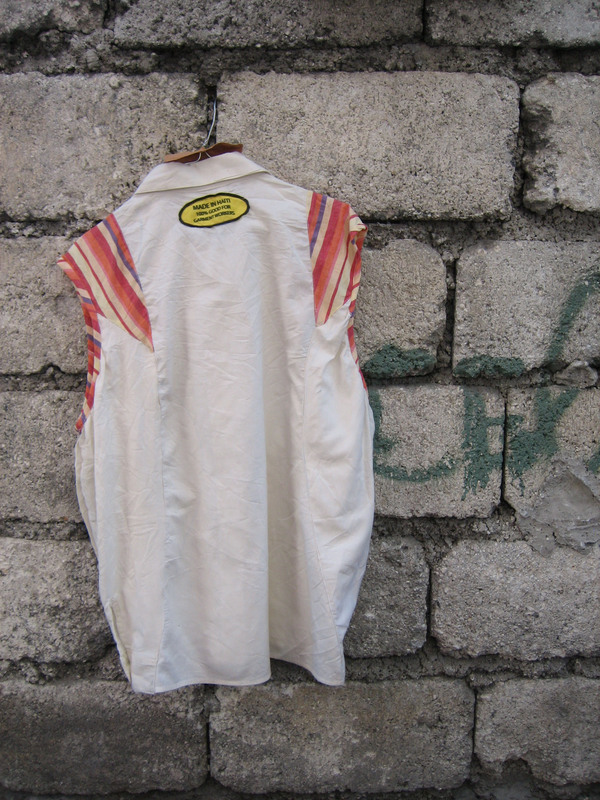 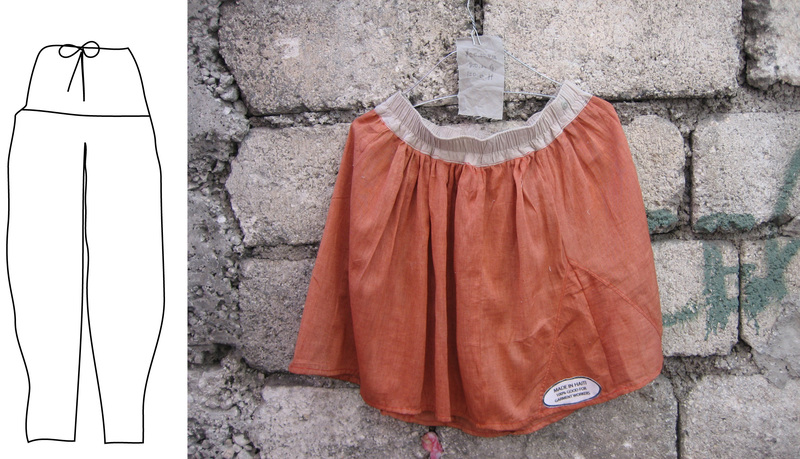 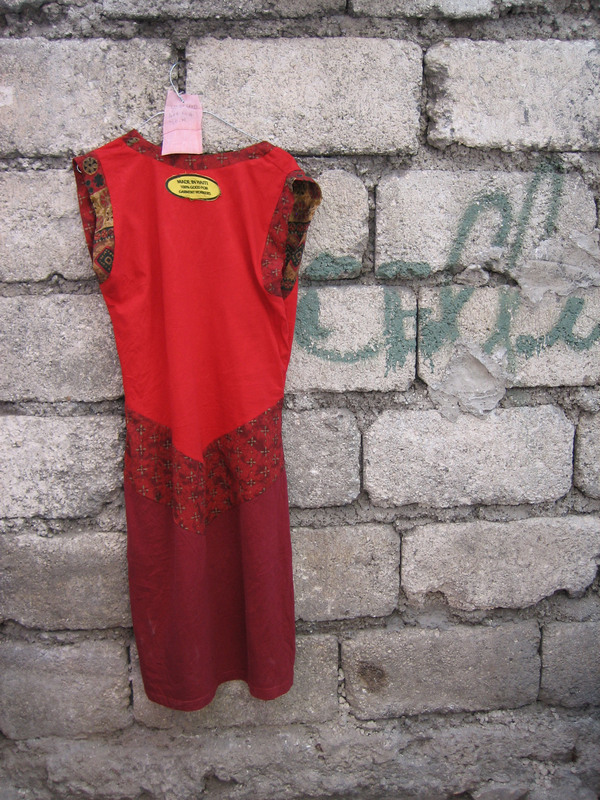 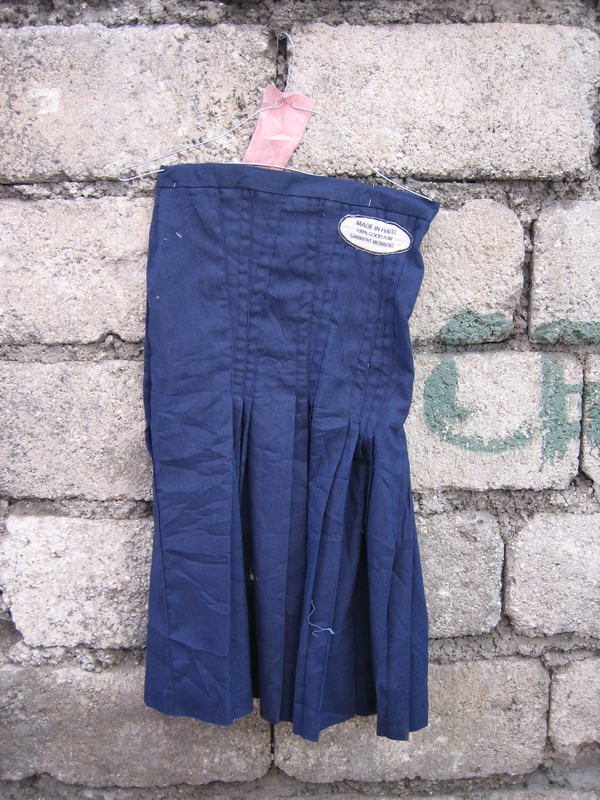 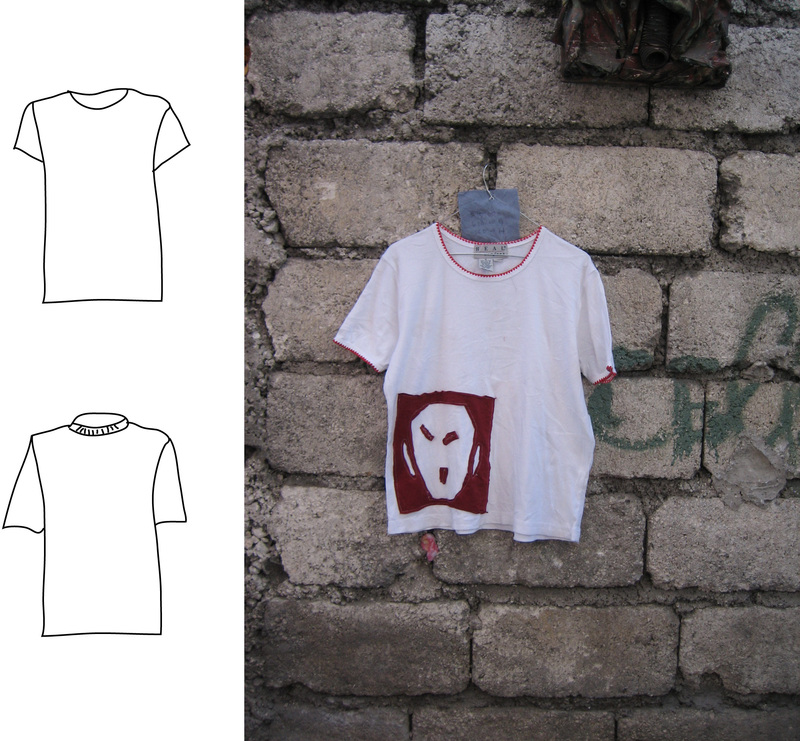 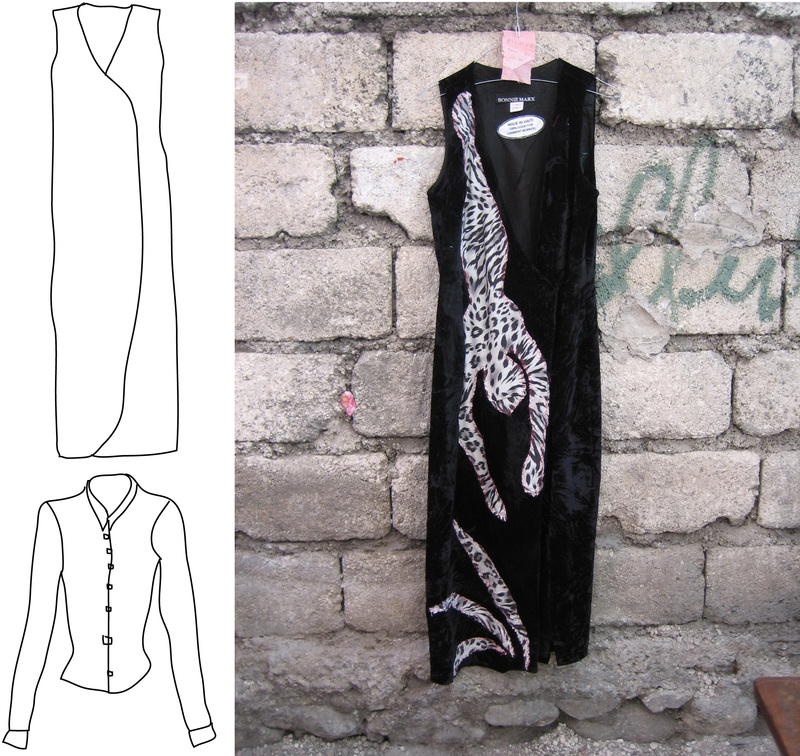 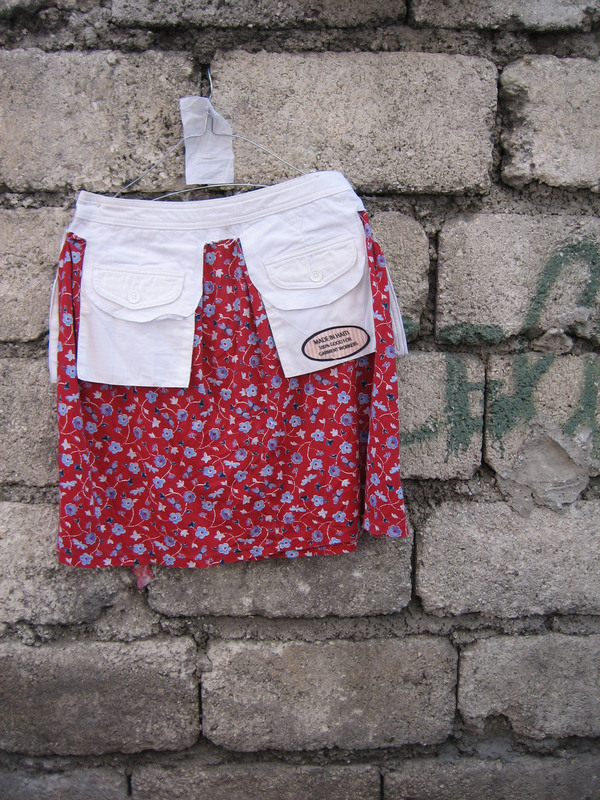 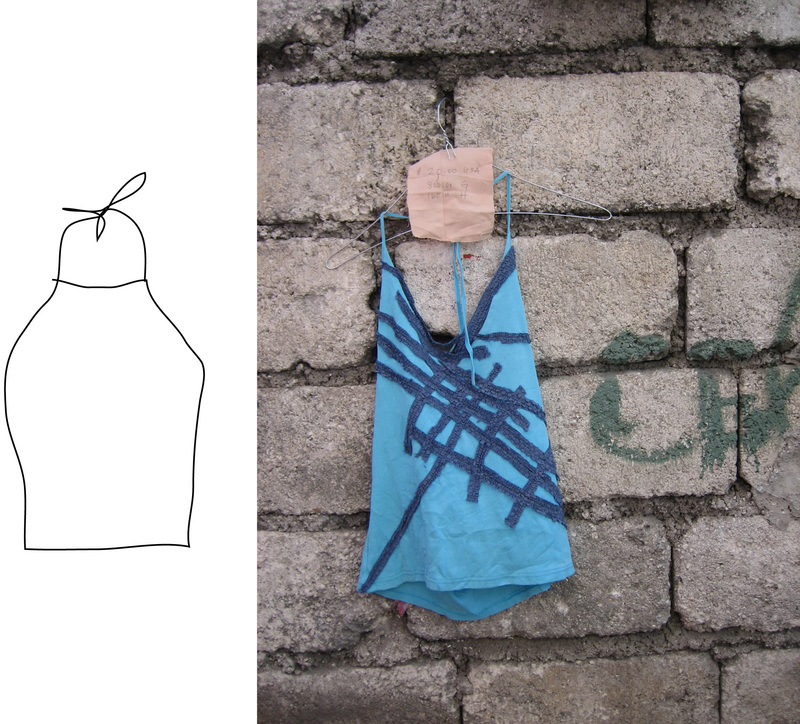 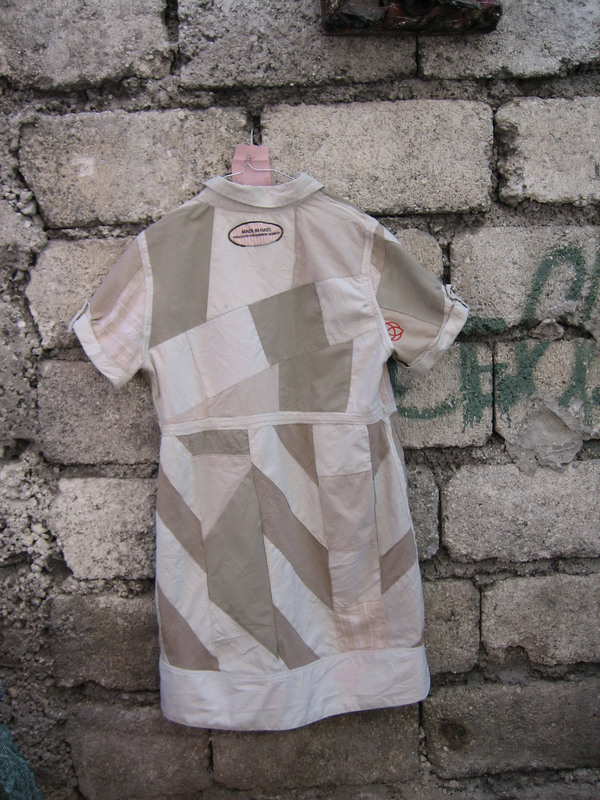 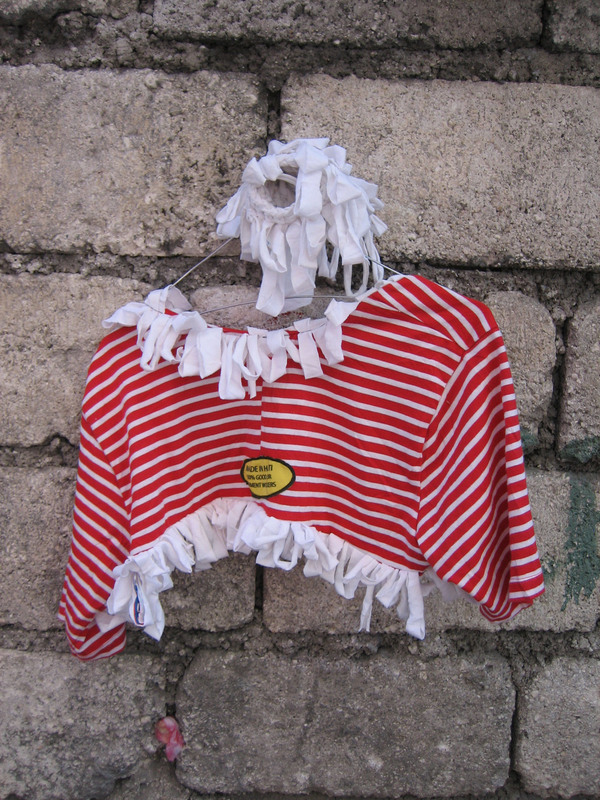 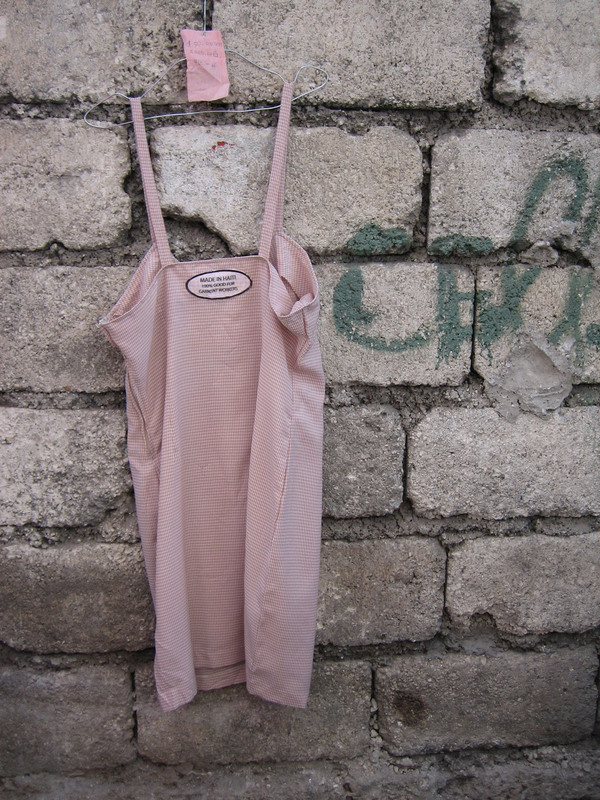 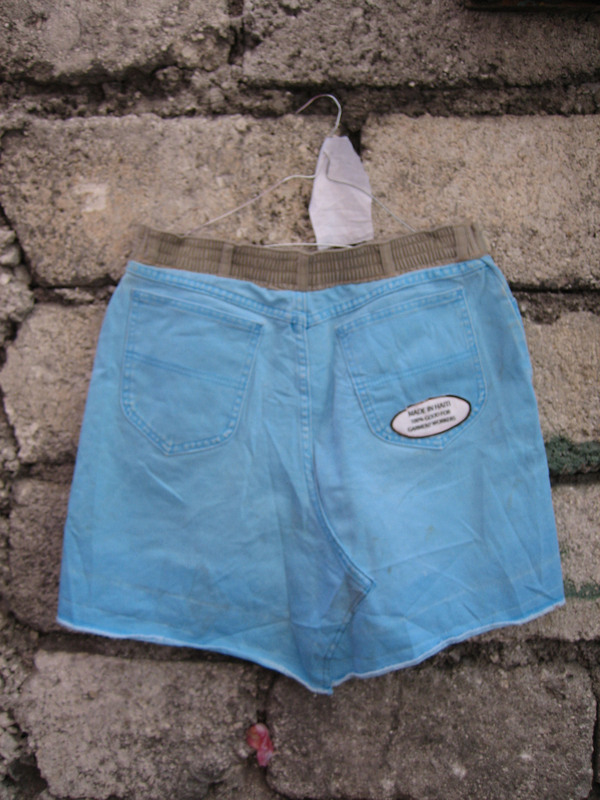 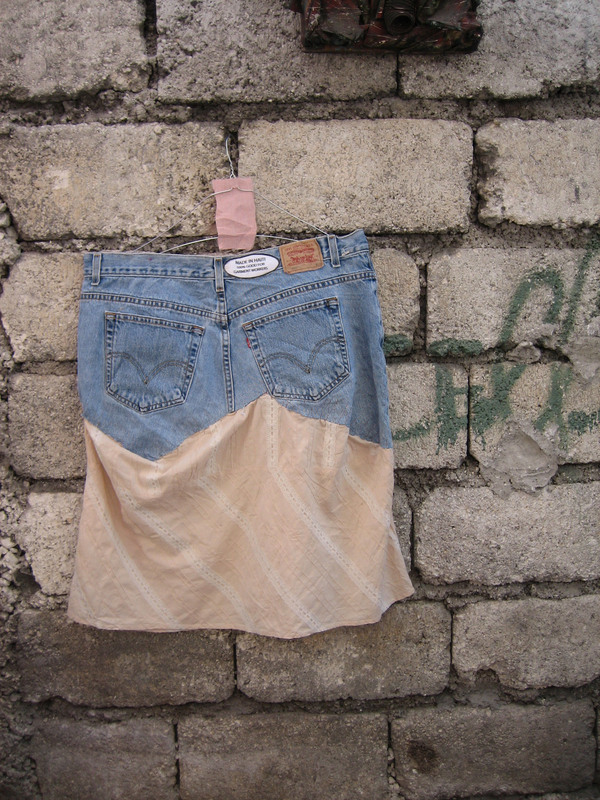 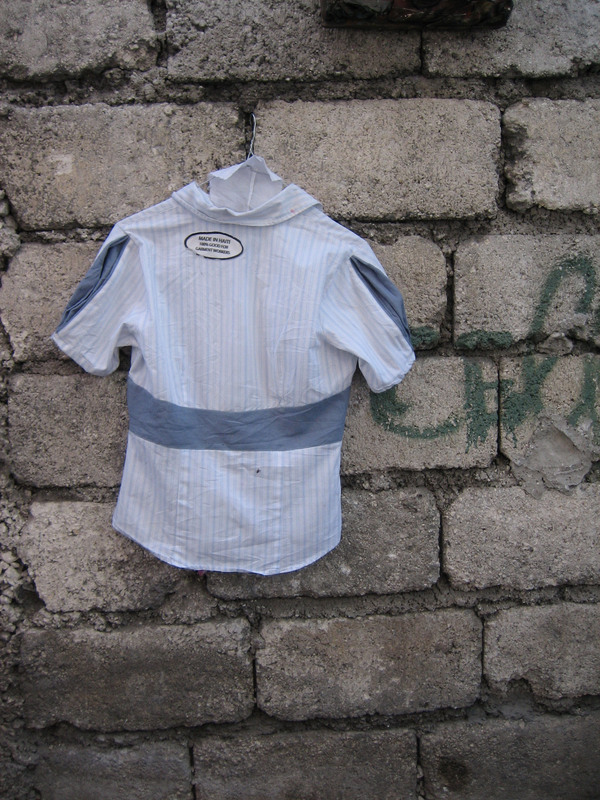 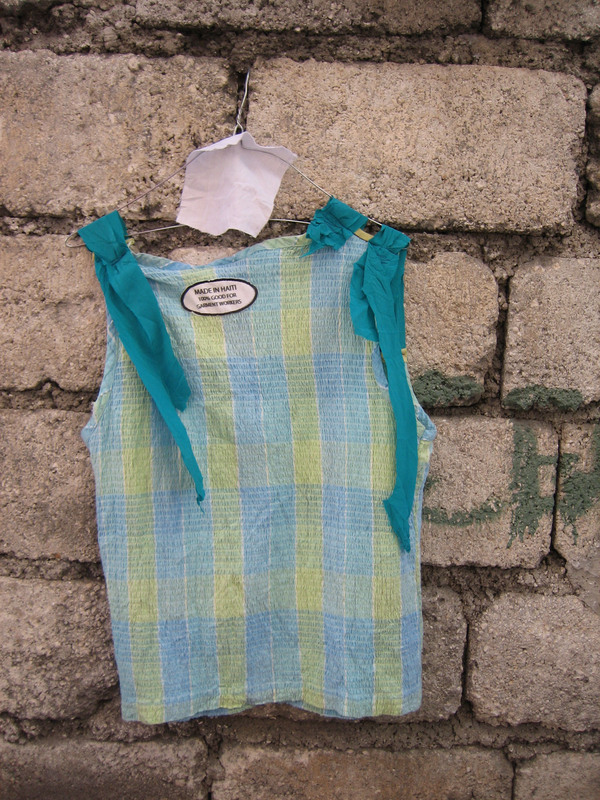 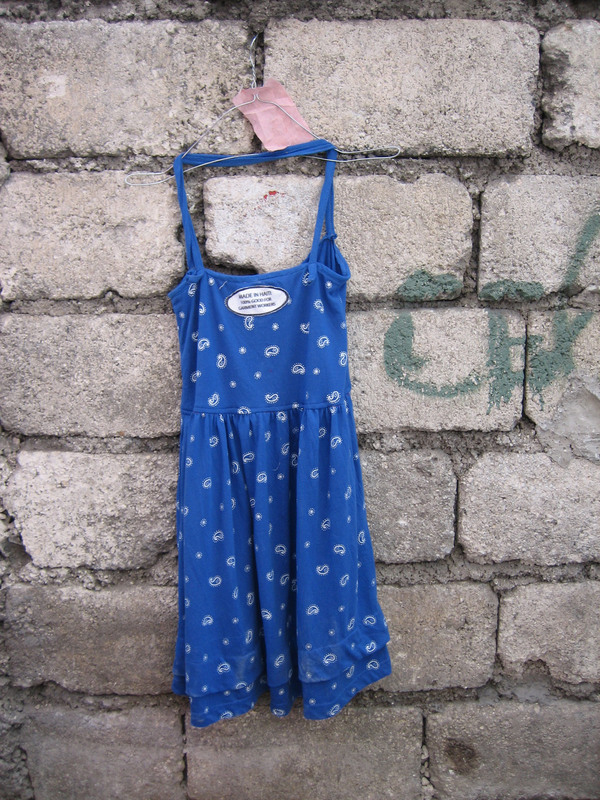 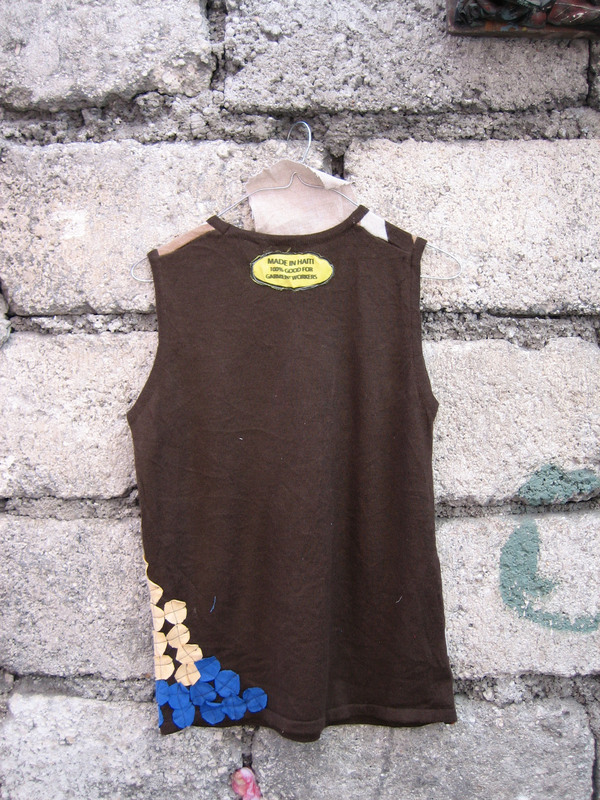 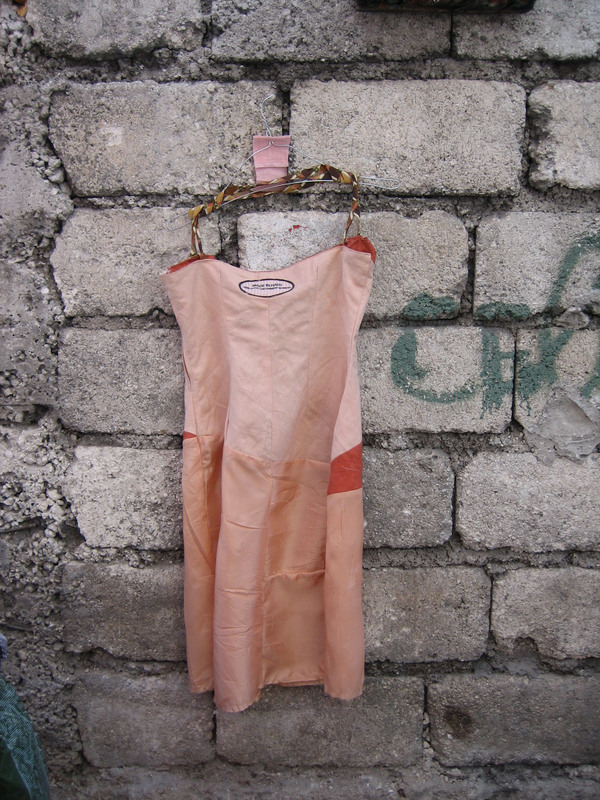 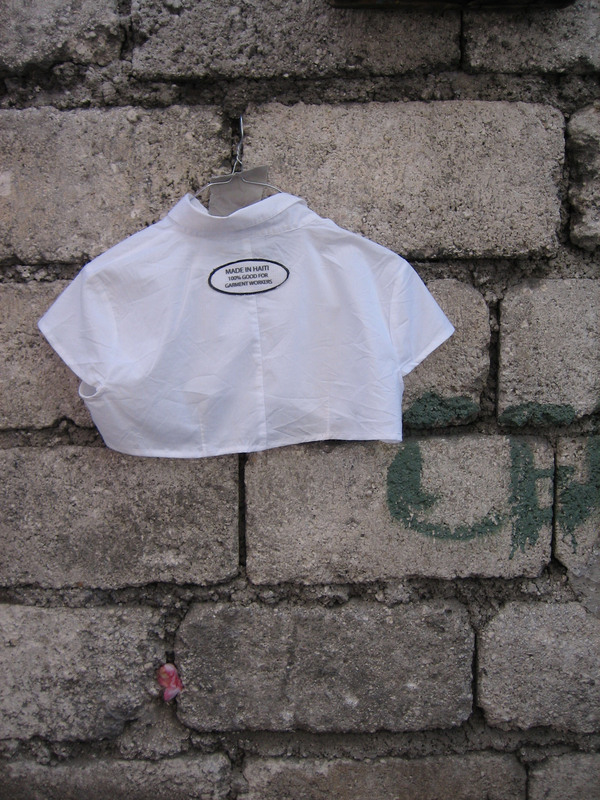 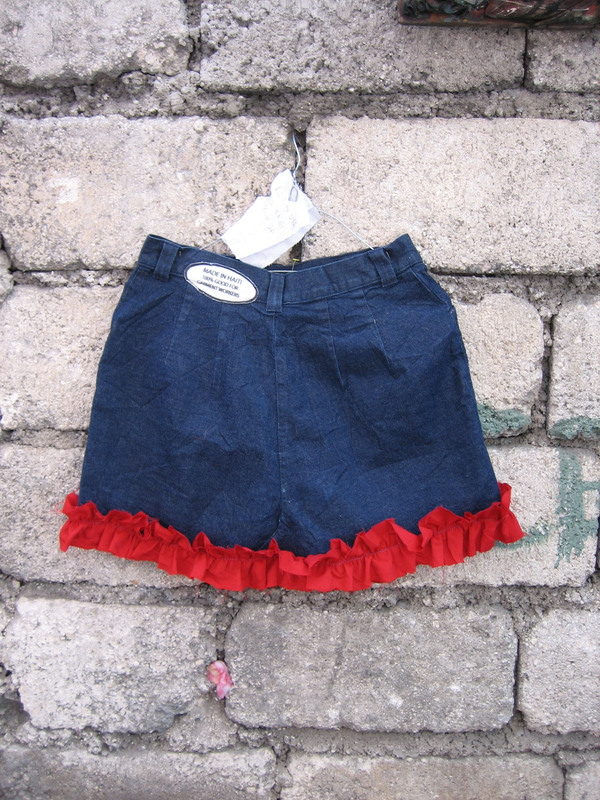 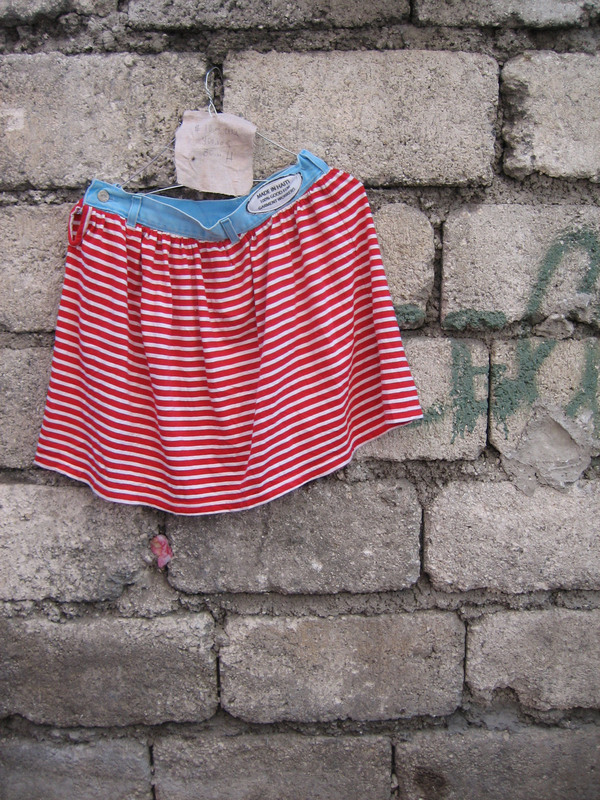 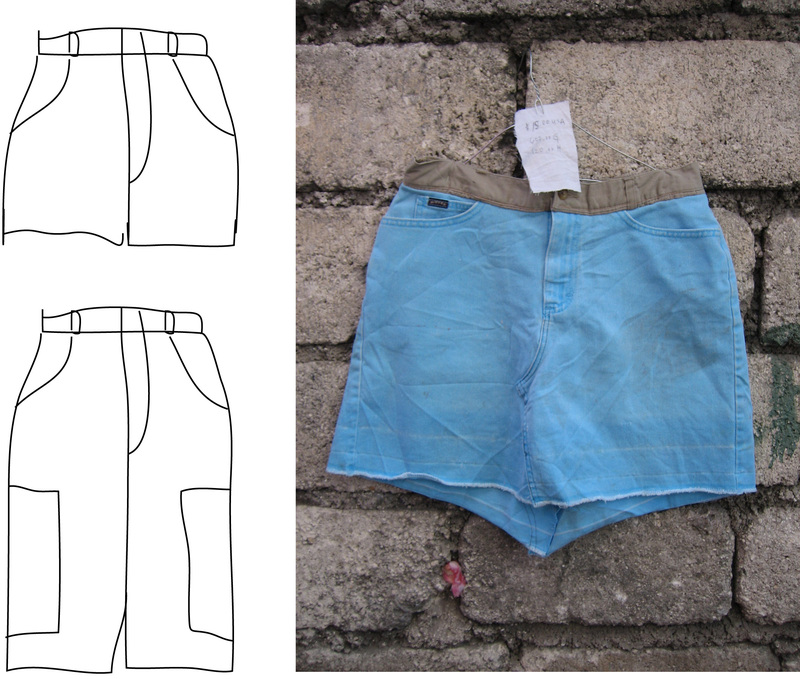 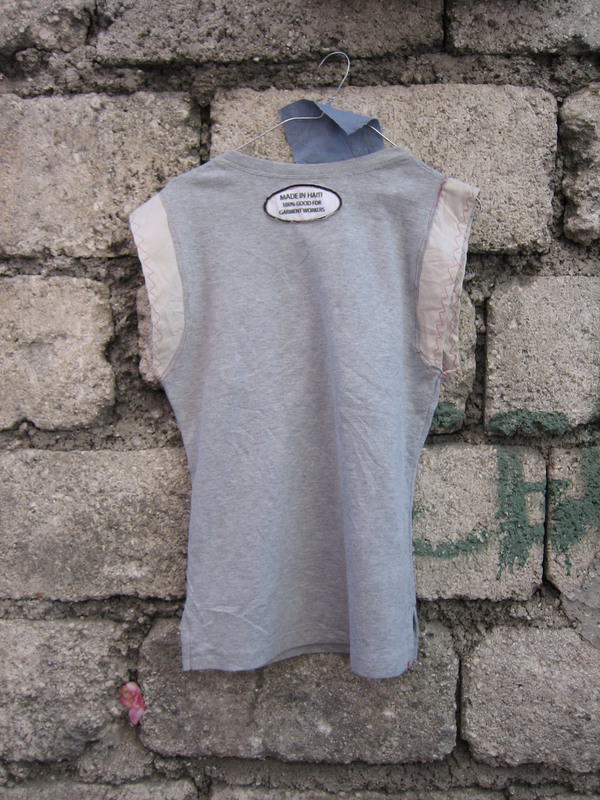 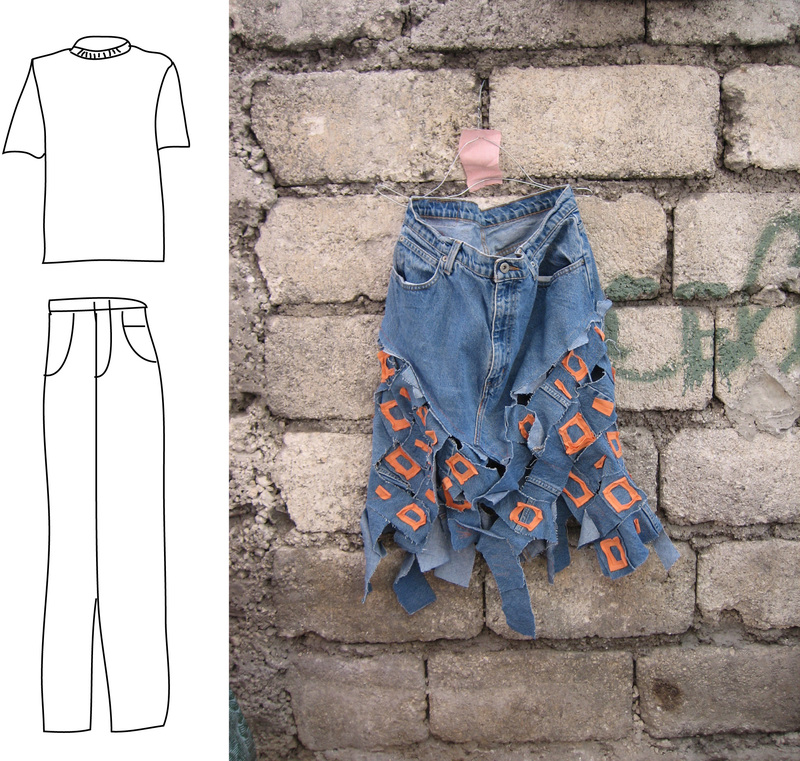 The following garments were on sale at the Ghetto Biennale in Port Au Prince, on Dec. 16, 2009. 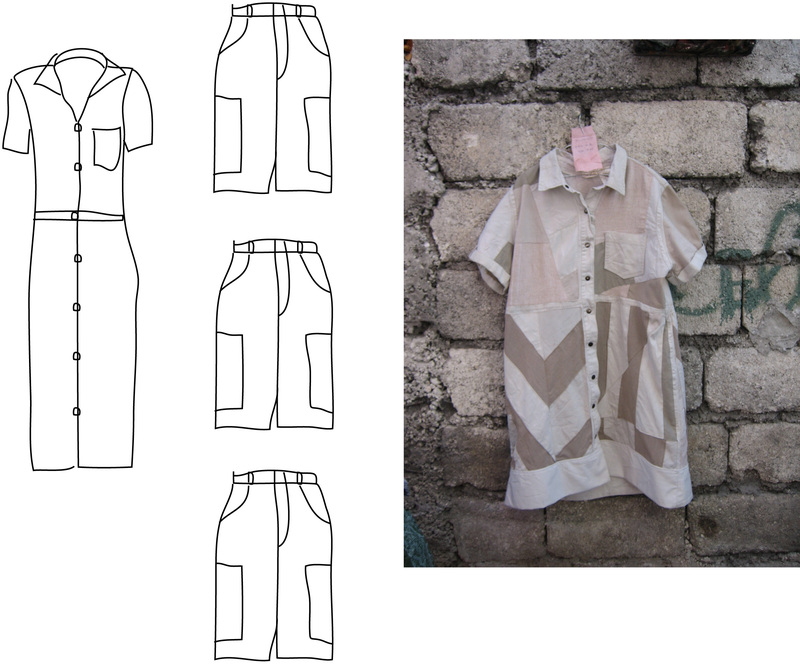 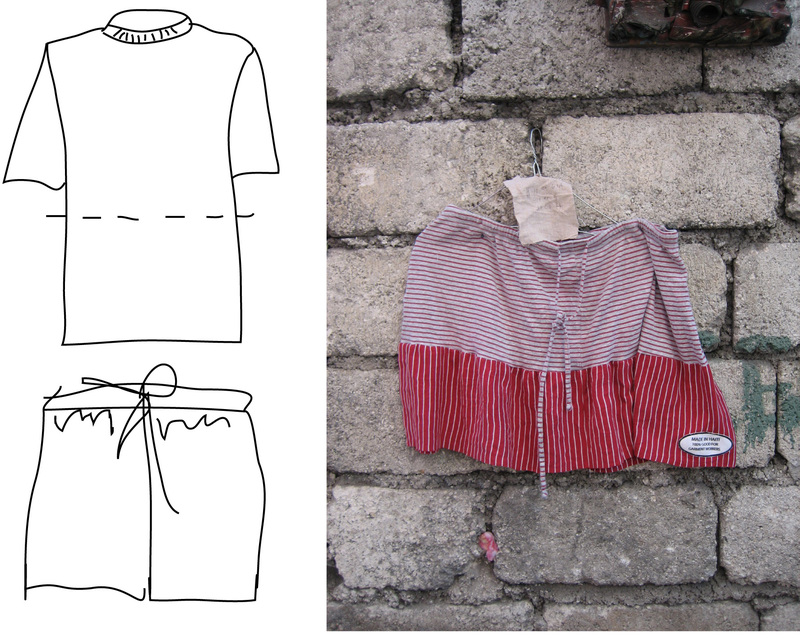 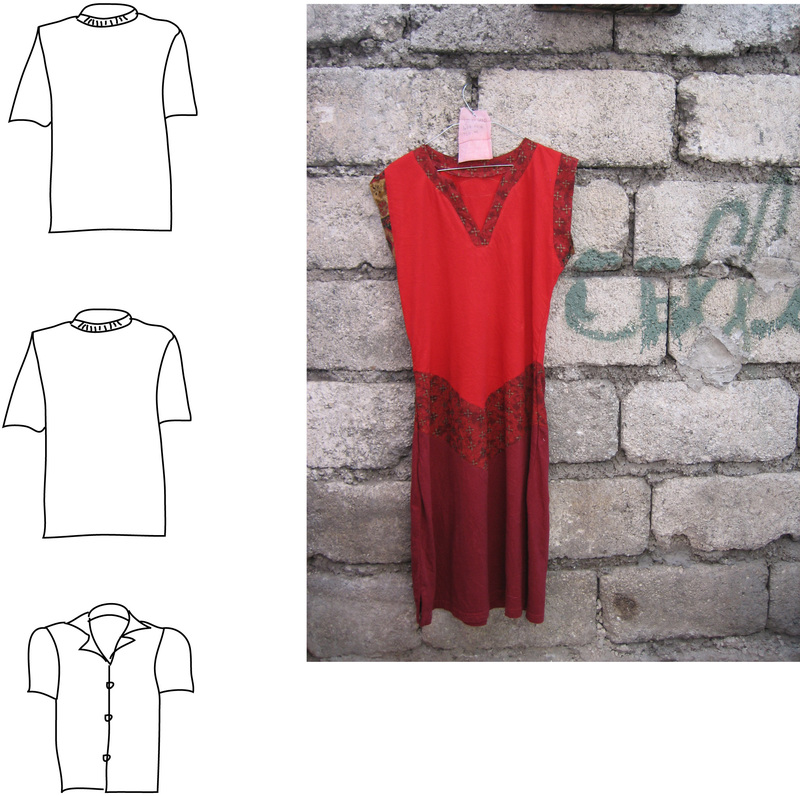 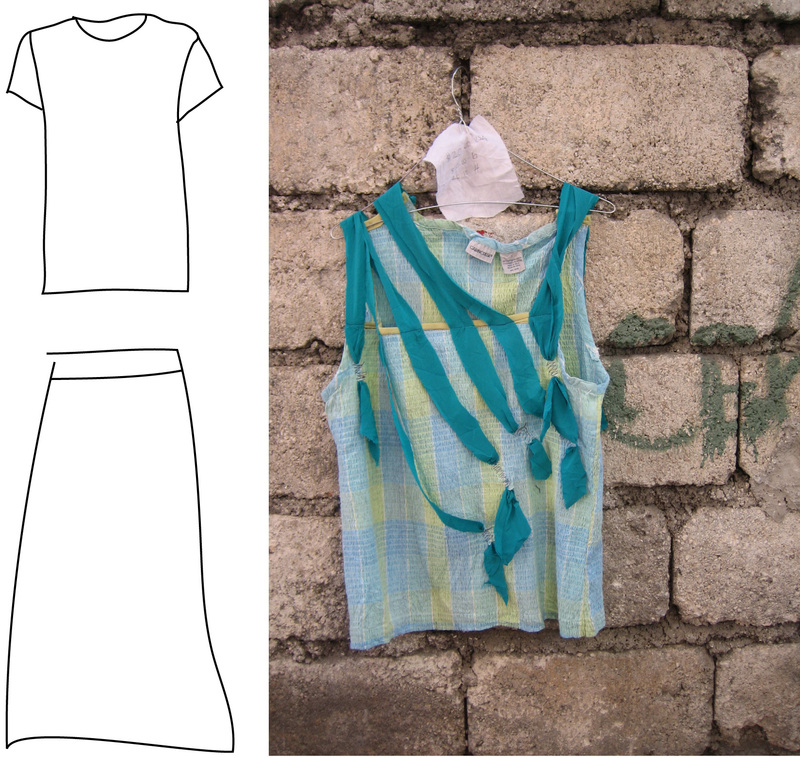 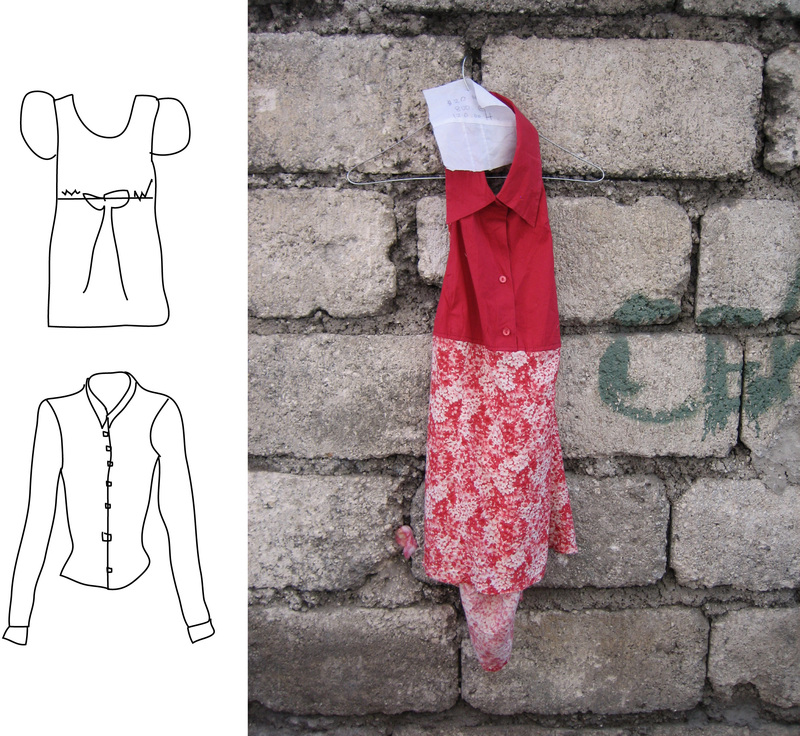 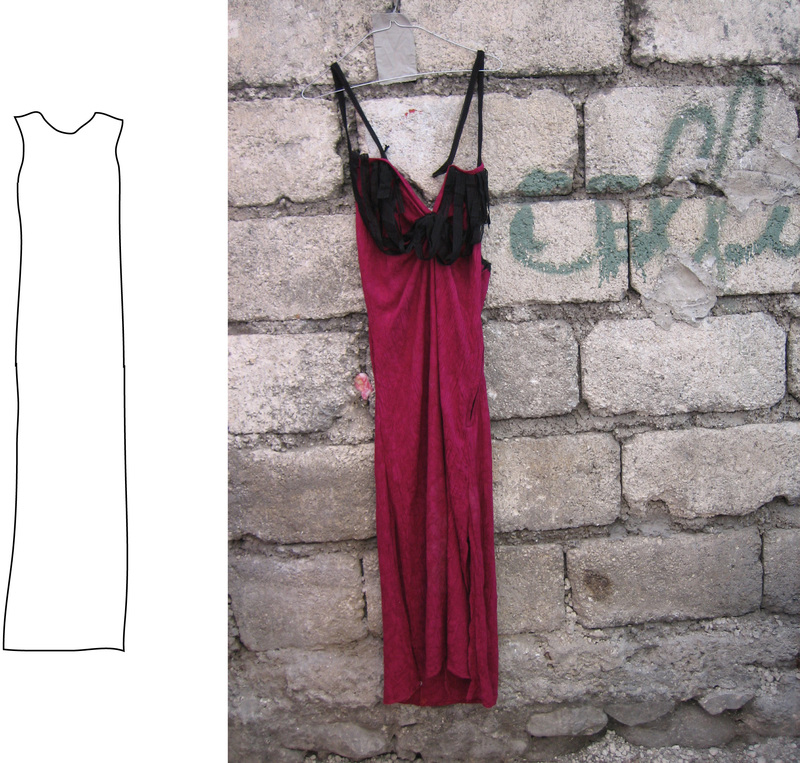 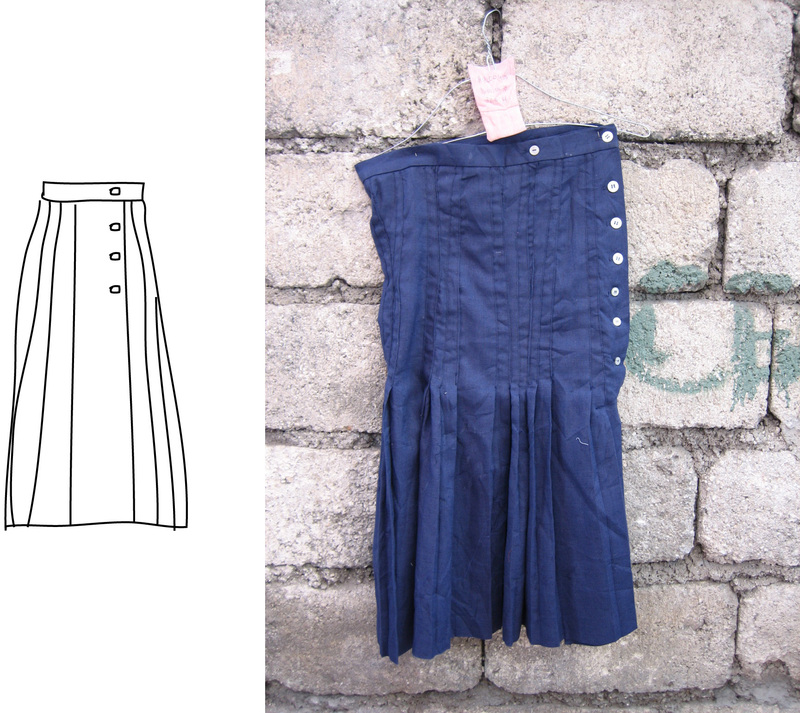 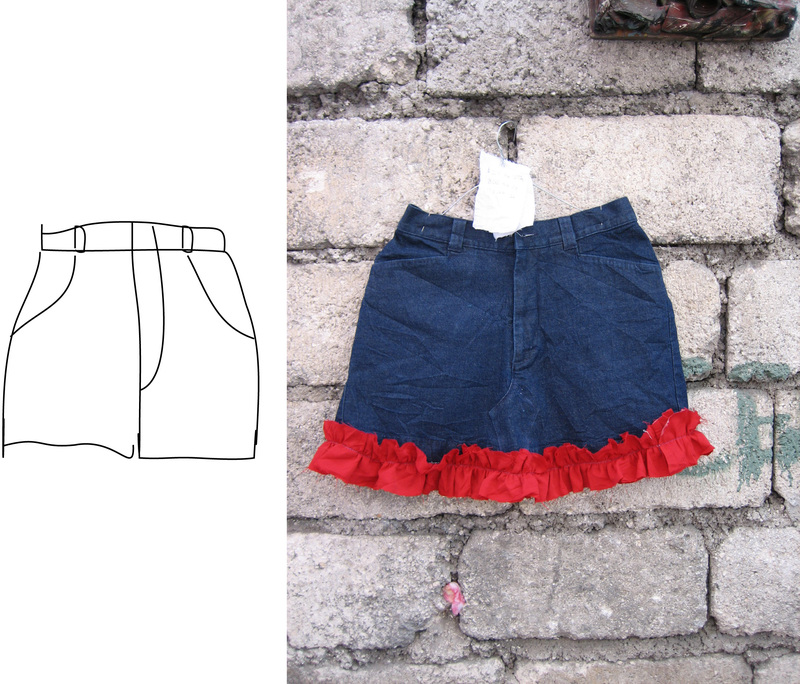 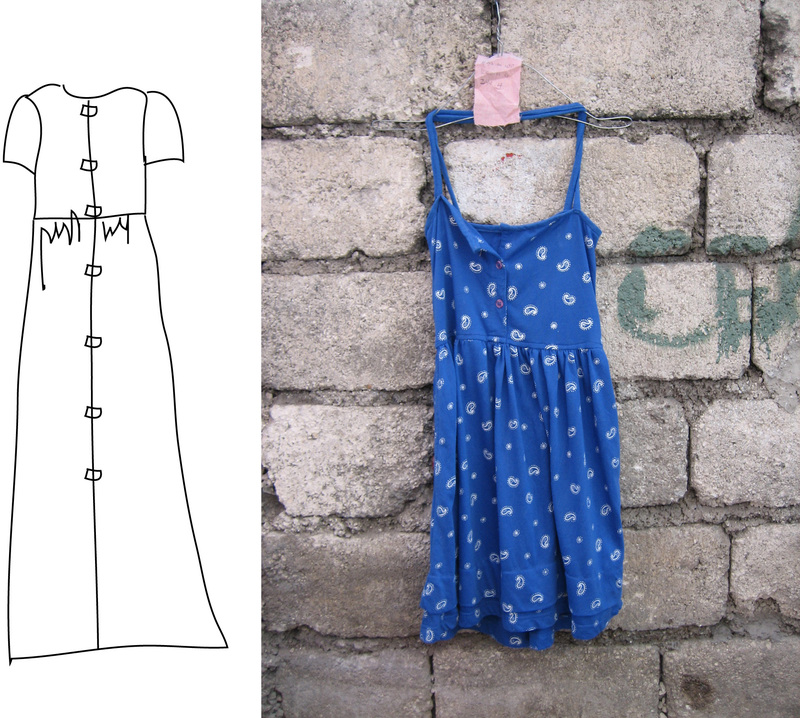 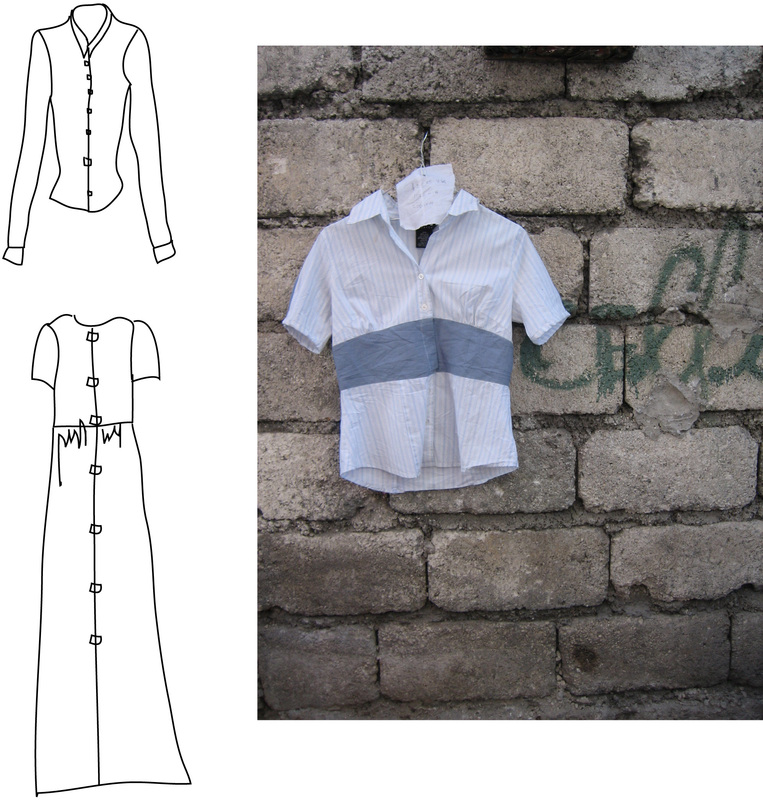 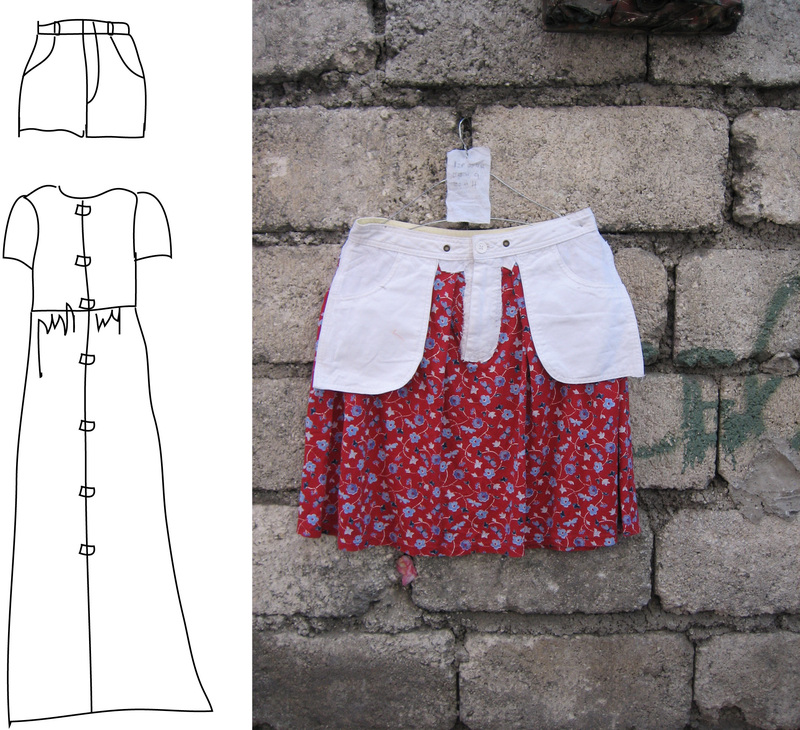 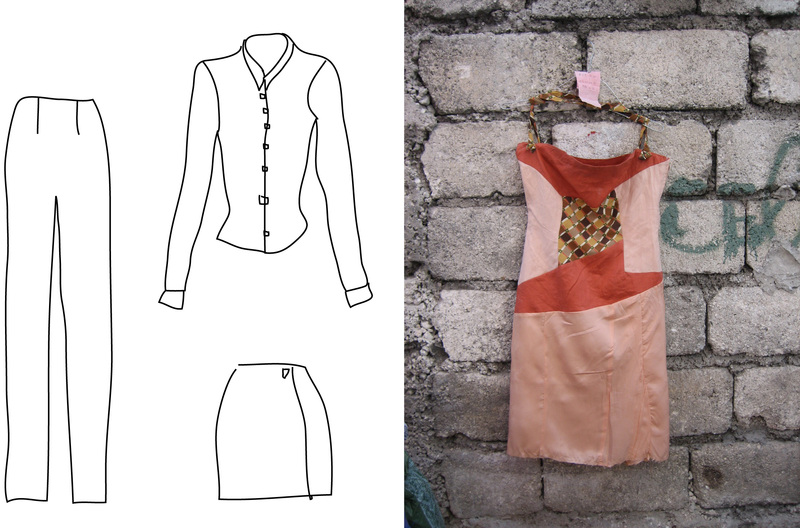 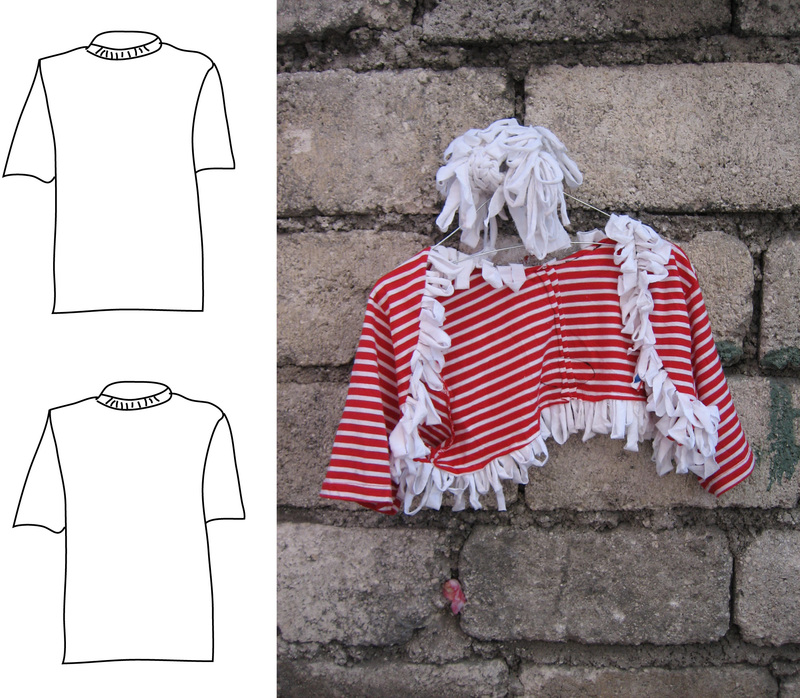 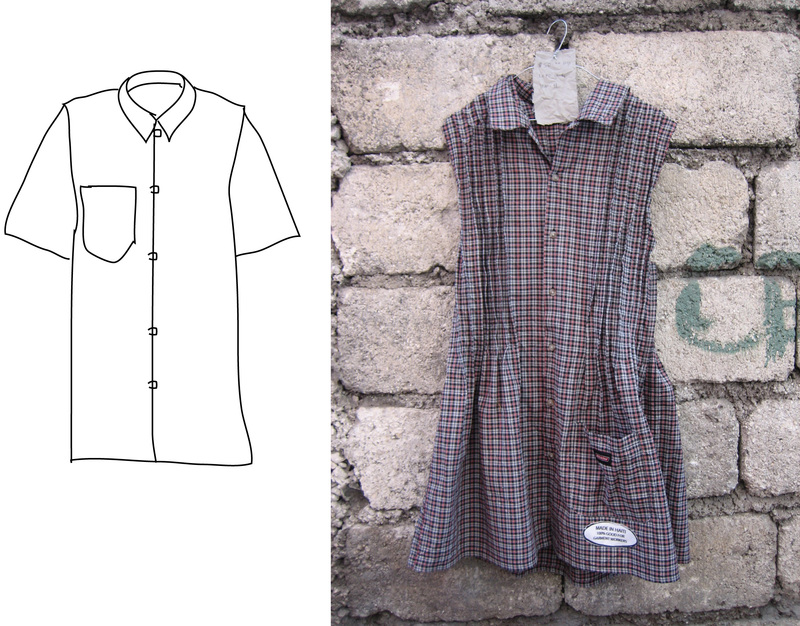 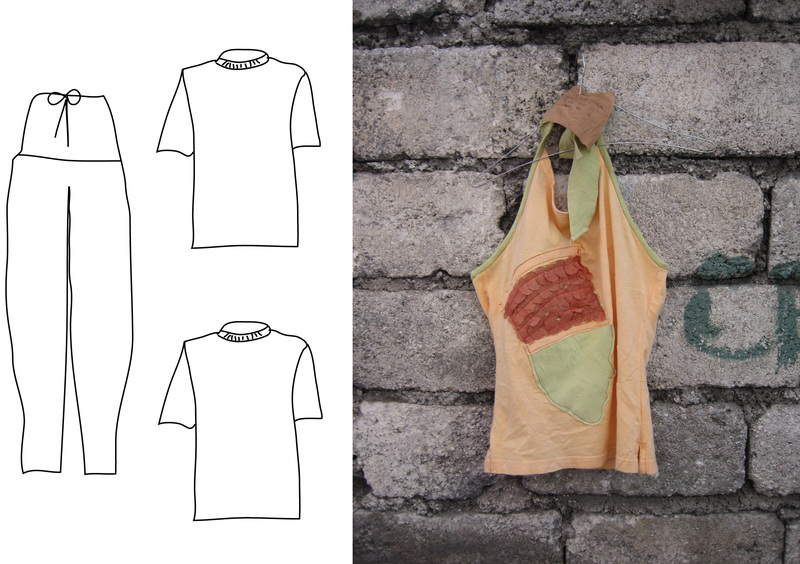 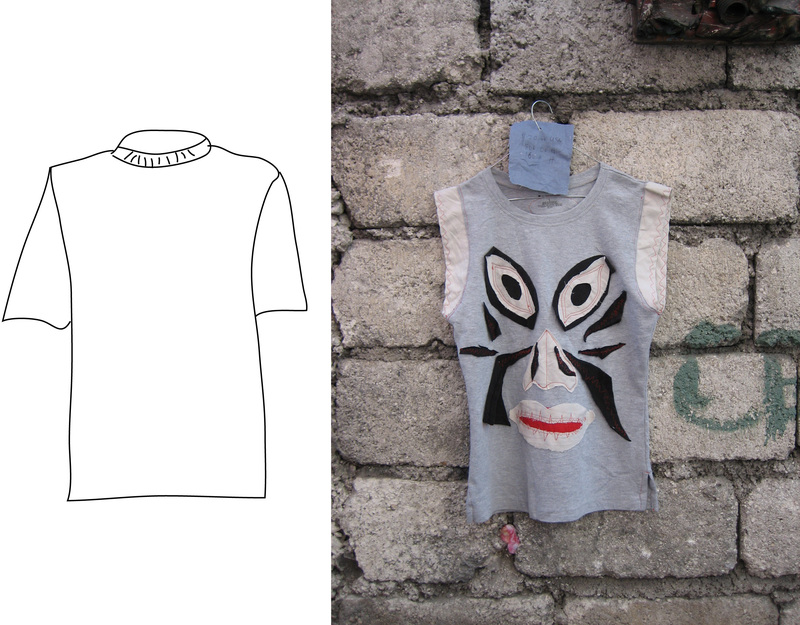 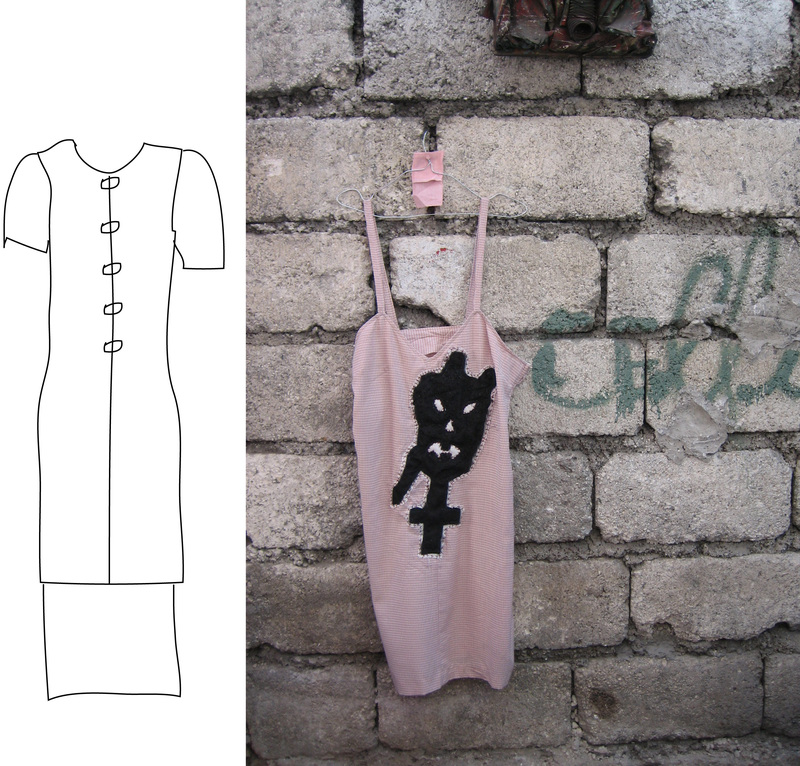 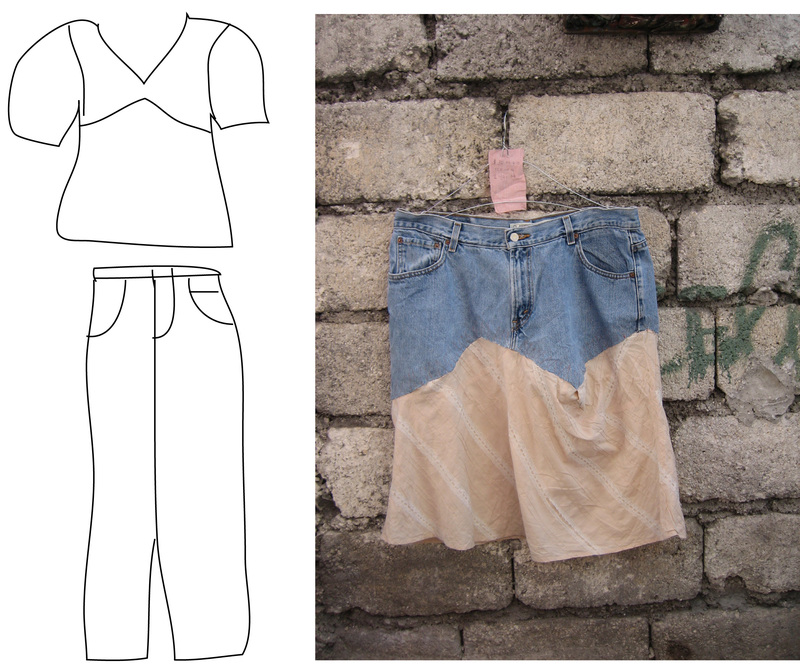 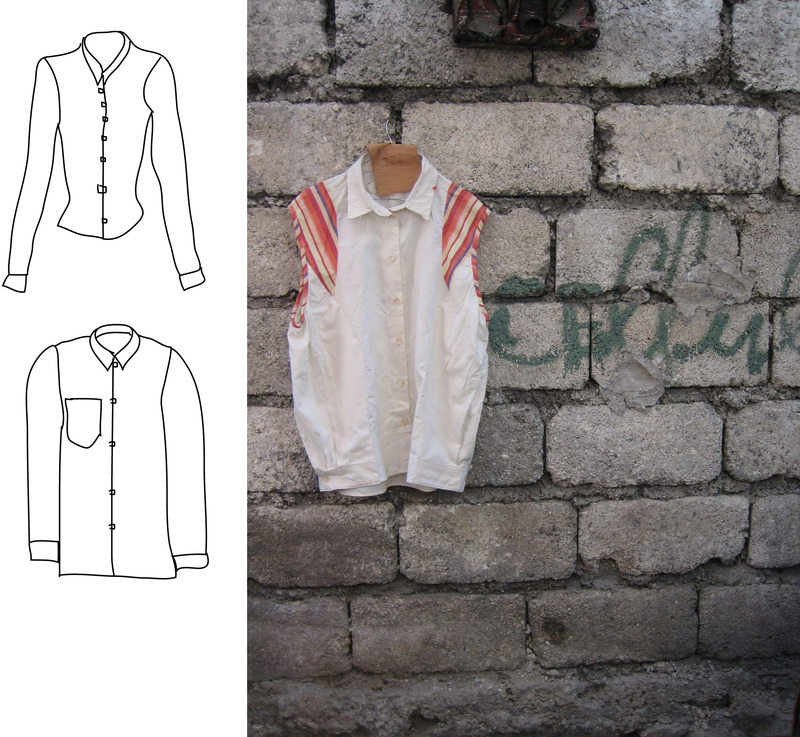 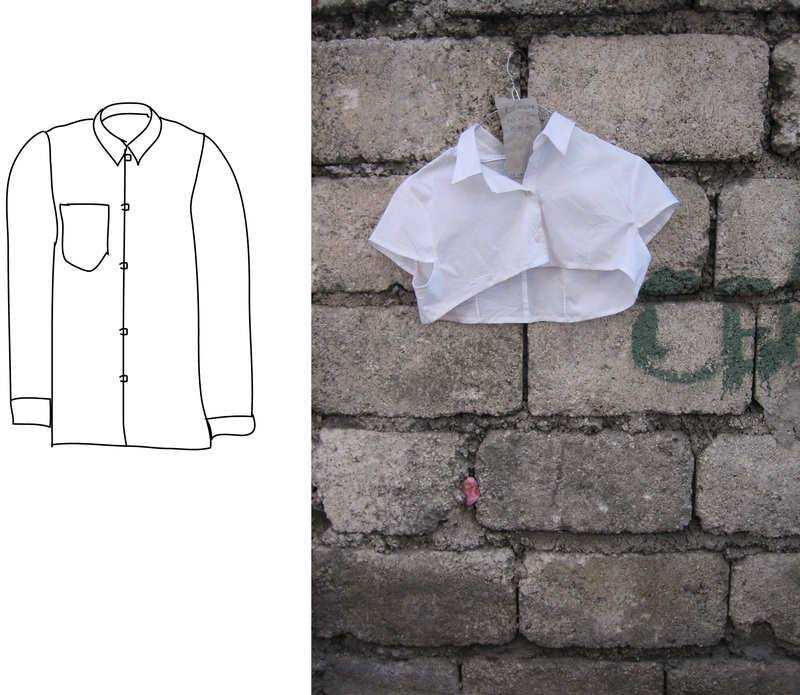 The drawing to the right is the original Pepe garment, and the photo on the right documents the repurposed garment produced by Jonas La Base, Mademoiselle Gina and Frau Fiber. 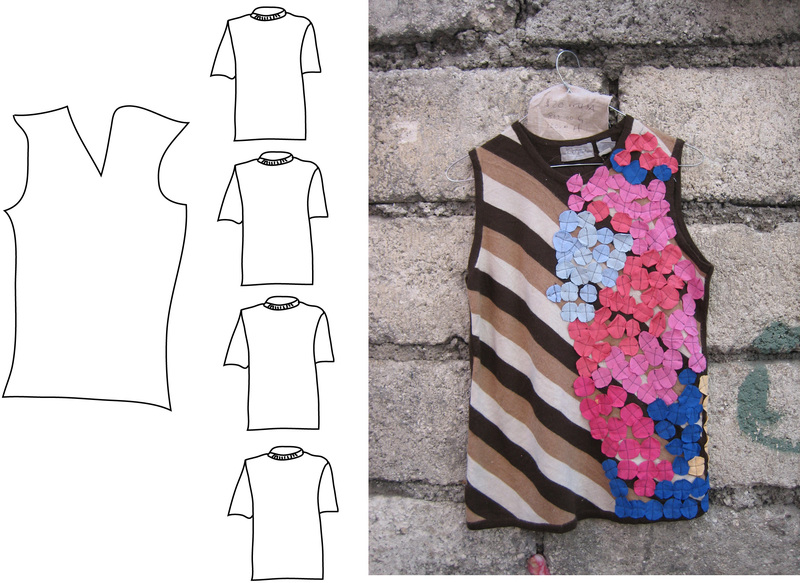 The Idea was wonderful, the work and the finish touch rather magical! 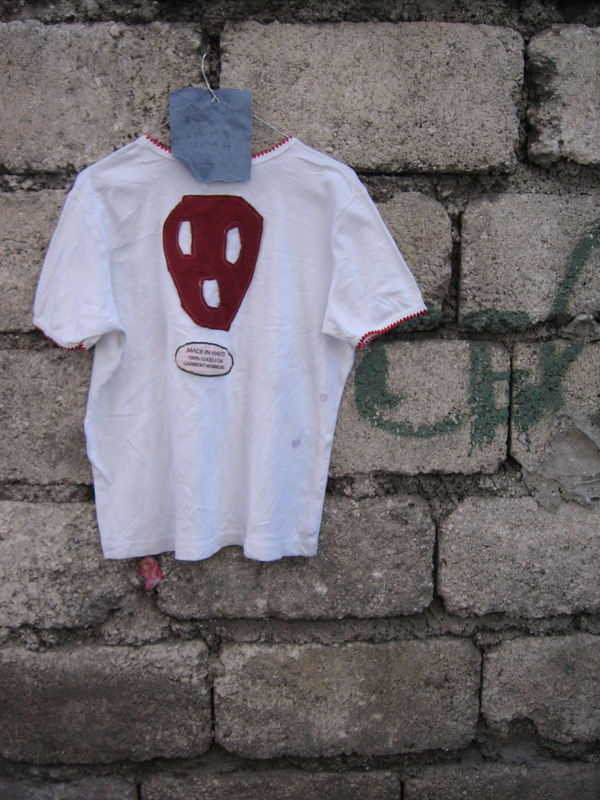 I am so proud of the fact that i was a part of it and very glad to have met you , got to know you and worked with you at the Ghetto Bienalle here in Haiti. 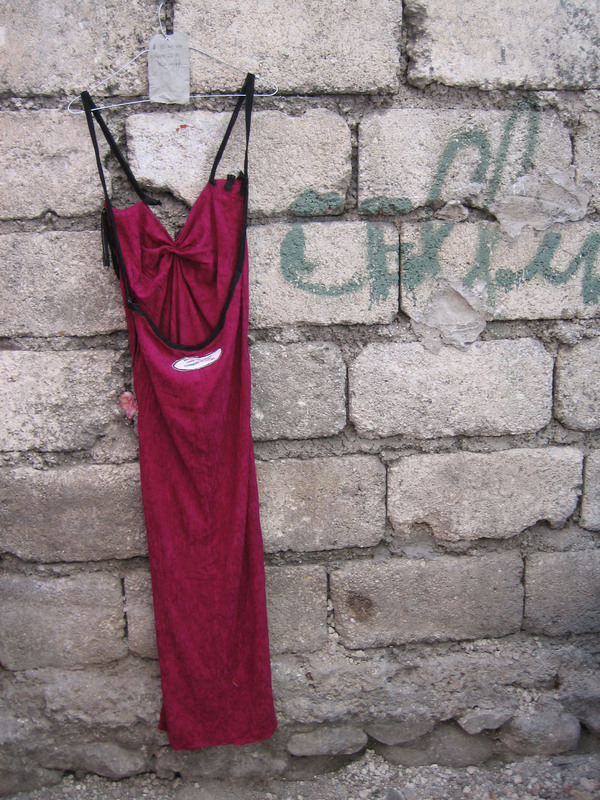 Happy New year to you FRAU.